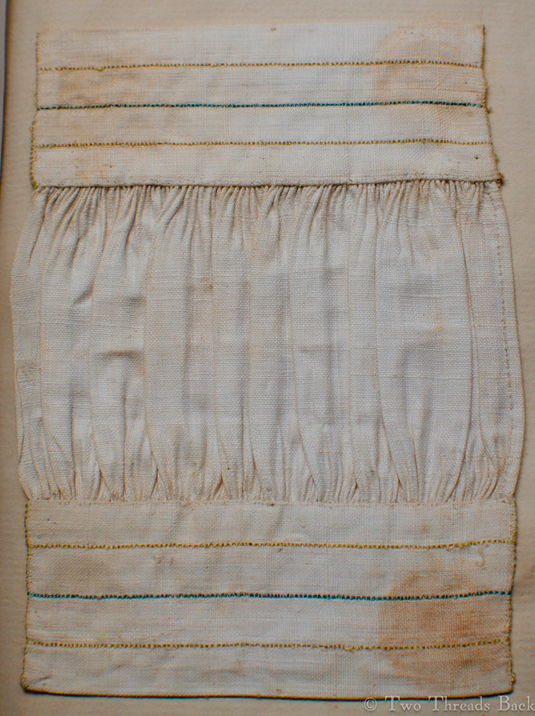 Baby shirt of linen, early 19th century, with the tiniest of stitches – and gussets! Is there anything more trying than trying to remember how to insert a gusset? So many ways! 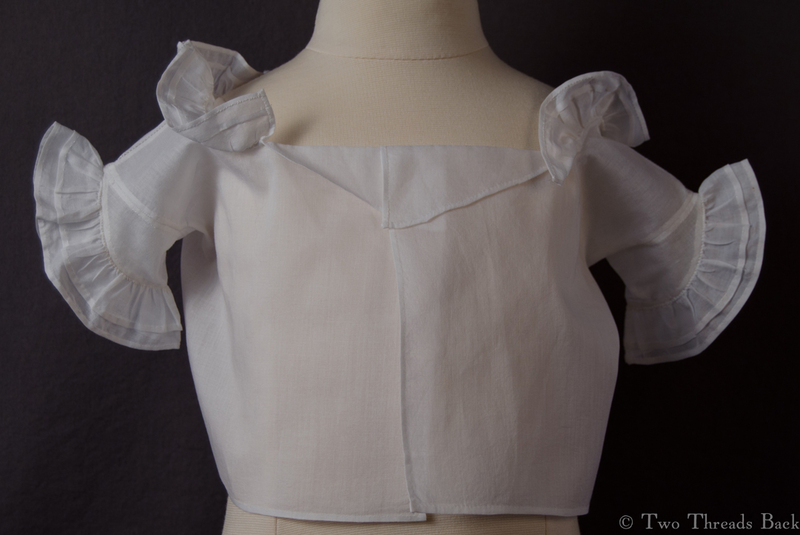 The fabric and the placement of this little triangle may incline us toward one method or another, but for someone as construction-challenged as I am, it means once again pulling out a sample to go by – or some instructions. We’ve all heard the story of the roast that was cut before roasting because “Mother always did it that way.” Perhaps the point (no pun intended) may be applied to gussets in this case as well. 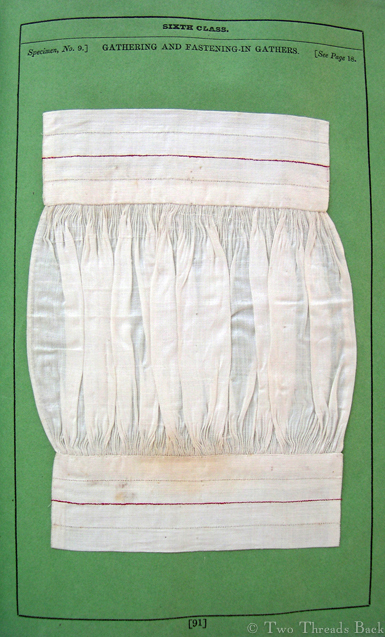 We know that some garments required gussets for fit and ease of movement, particularly those of a “square-cut” pattern. They were very effective and often quite beautifully executed. 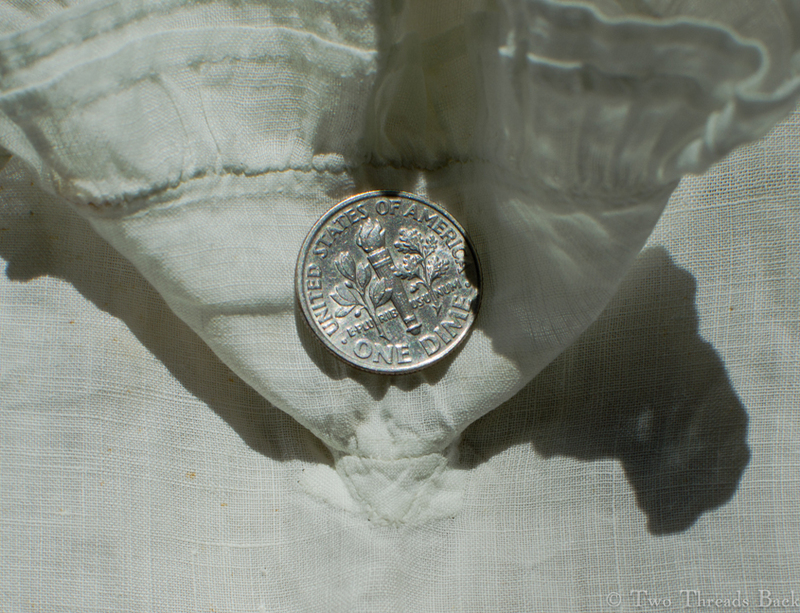 This gusset is so tiny it could almost sit on the dime and swing its legs! 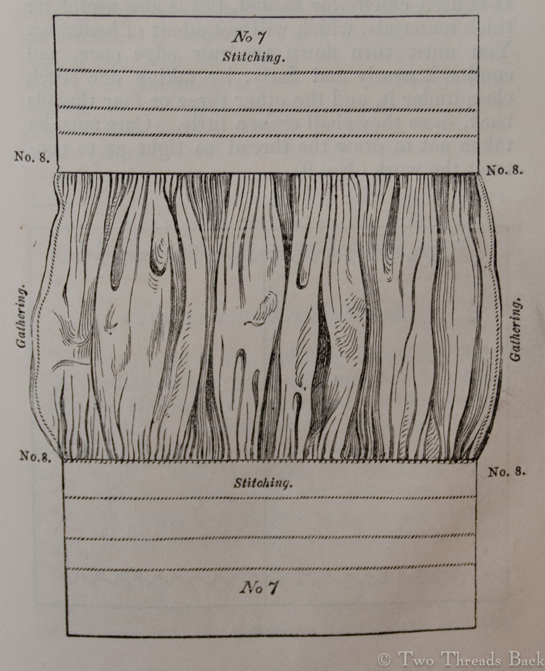 Well here is an example of roasted gussets: have you ever seen anything so tiny, so exquisitely worked – and so unnecessary? 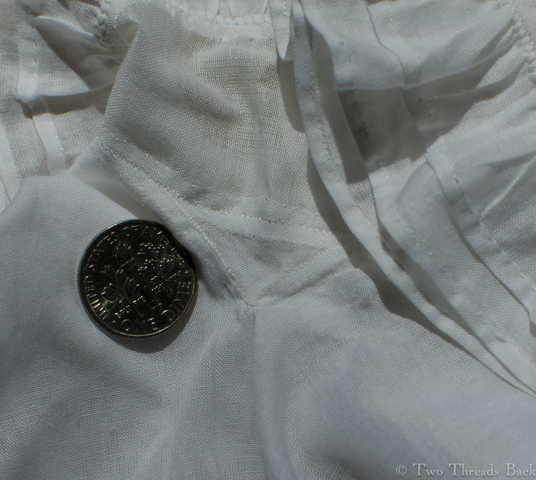 I ask you, what use were these lovely little bits of linen to the baby’s comfort? None at all, I daresay. But shirts and shifts had gussets, so there they are. Oh my goodness, what inspiration for a clumsy novice like me! And as you can see below, I was willing to try. Unfortunately my efforts didn’t quite measure up. At least the baby will never notice! 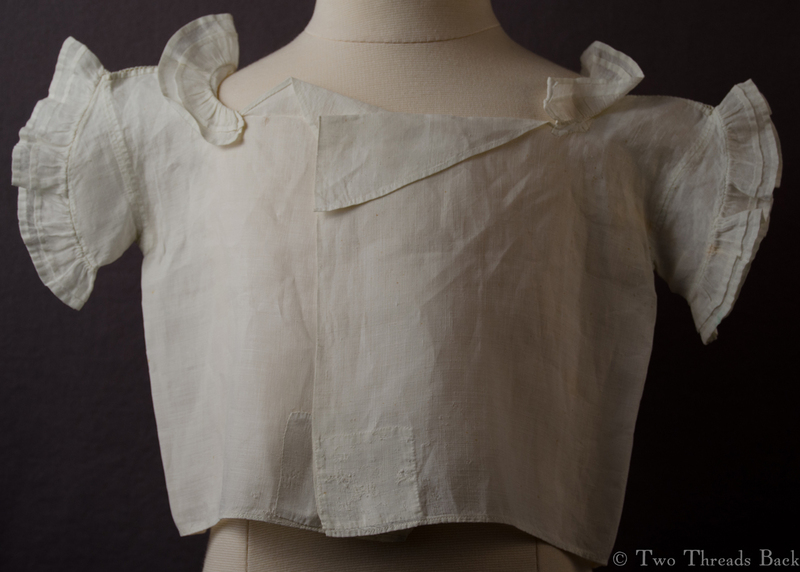 Baby shirt of muslin, early 21st century by yours truly, with an attempt at the tiniest of stitches – and gussets! I didn’t even have the courage to use the same style gusset. Maybe next time….